"We will launch the Galaxy A70 in India next week in the Rs 25,000 - Rs 30,000 bracket and the Galaxy A80 in the Rs 45,000 - Rs 50,000 bracket in May," Ranjivjit Singh, Chief Marketing Officer and Senior Vice President, Samsung India, told IANS. Samsung is looking to challenge the Chinese budget smartphone makers like Xiaomi, Oppo, OnePlus in India with its Galaxy A-series smartphones. The South Korean electronics major is targeting $4 billion in revenues from its Galaxy "A" series of phones in 2019. Samsung is also planning to unveil Galaxy A80 next month in May. The Galaxy A80 comes with a refreshing new design and has a sliding and rotating camera setup. The Galaxy A80 will be powered by Qualcomm's brand-new Snapdragon 730G SoC, which is built on 8nm manufacturing process. 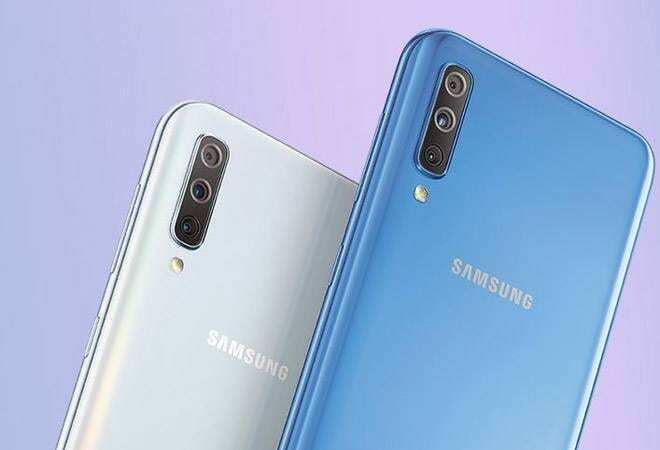 As far as specifications are concerned, the Samsung Galaxy A80 has a 6.7-inch full-HD+ (1080x2400 pixels) Super AMOLED display or the "New Infinity Display". Samsung Galaxy A80 comes with 8GB of RAM and 128GB of onboard storage which cannot be expanded using a microSD. The phone runs on Android 9 Pie with Samsung's One UI. The Galaxy A80 also comes with 3,700mAh battery with Super Fast Charging support.